The Jeopardy! champ describes Trebek as "a riddle wrapped in an enigma wrapped in a Perry Ellis suit" in a New York Times essay. 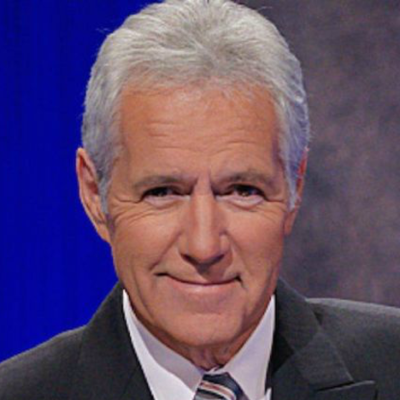 "Alex Trebek fascinates America, but we don’t quite get him," explains Jennings. "He’s a game show host, but he’s not hearty or ingratiating. He’s a comedy signifier, most famously lampooned by Will Ferrell on Saturday Night Live for many years, but he also seems to be in on the joke. My picture of him has been built up in little glimpses over the years, to the point where I finally feel confident handling the endless stream of 'What’s Alex like?' In person, he’s decidedly not the stern, judicial presence you might expect. On TV, he’s all business. He has 61 clues to get to, and not a lot of time. Hosting such a dense, fast-moving game is an insanely hard job, but he makes it look effortless. Here’s the belief that lies at the core of Alex’s TV persona: Jeopardy! itself, not he, is the star of the show. It’s all about the format, the players, the facts, the dissemination of answers and questions. It’s hard to imagine any modern TV personality deftly avoiding the spotlight like that. But when the cameras stop rolling, Alex is a looser, even goofy presence."